"He was no saint!" said Eugene Whelan's mother, Joan, her laughter bubbling up. "Yeah, he could be a giant pain!" her husband, Alfred, added, chuckling about the ninth of their 10 children. 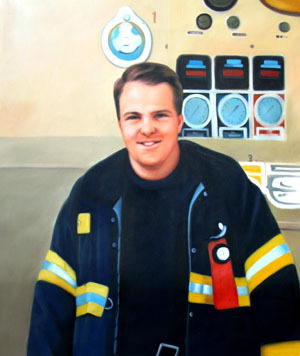 While Firefighter Whelan, 31, undoubtedly jettisoned saint eligibility at some Rockaway pub or Grateful Dead concert — a captain called him "the king of fun" — he was still terrific. He kept extra winter jackets in his Jeep in case he spotted a shivering homeless person. He was a persistent serial hugger, spreading those burly embraces known as "Eugene hugs." He was a Mr. Fix-it and human Velcro to kids. In Bedford-Stuyvesant, Brooklyn, the neighborhood served by Engine Company 230, children would arrive at the firehouse with broken bicycles for Firefighter Whelan to make whole. During a school visit, he asked why one child was left in the bus. The child was paralyzed, a teacher replied. Mr. Whelan carried the child to the fire truck. "He understood what life was really about," said his father, "so we feel pretty good about him."